Appliance reliability is incredibly important. You do not want to buy a $1,500 refrigerator or $5,000 professional (pro) range and then have problems right away. Most problems are not repaired well because there are few decent service techs in this industry. 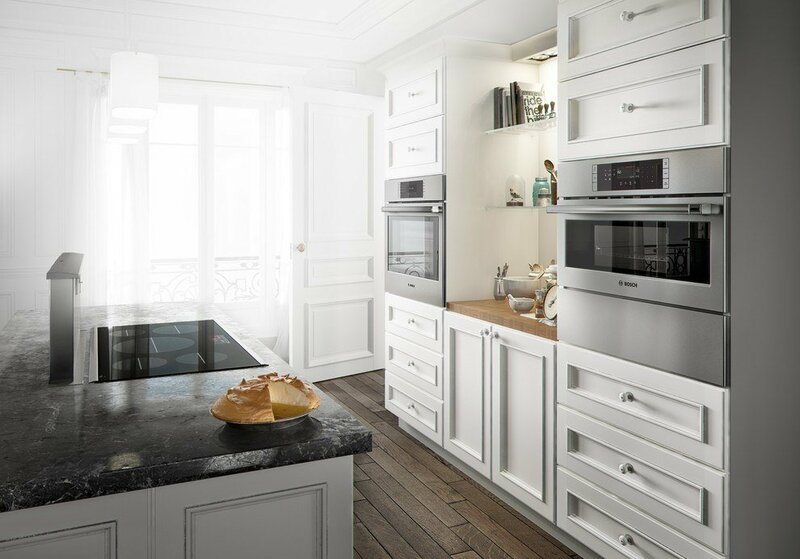 Initial quality is especially important when buying an appliance. It’s almost more important to us. We service what we sell with 30 service techs on the road and can only sell reliable brands with decent product support. There are not enough technicians to service unreliable products. In this article, you will learn about the most reliable brands, service trends, and how reliability is calculated. That will only tell you half the story. There are more reliable products and, of course, less reliable appliances to avoid. We mention those as well as significant trends we noticed for 2019. One of the benefits of having a huge service department is data collection. We will be in approximately 130-150 homes today fixing appliances, with a good portion being less than a year old and under warranty. Total service calls for 2017 was 30,467. That escalated to 34,687 in 2018. It is sales generated versus warranty service calls within 1 year. I should tell you this article is consistently unfair. Any time a service tech is sent to your house, it counts as a service call. It does not matter what the call actually is. Often times it’s a simple adjustment, but it counts as a call if you need us to perform any kind of service within the first year. Lastly, we do not scrub the data, so there is no distinction between a major or minor call. A certain percentage of calls are customer education calls or fixing installation issues. 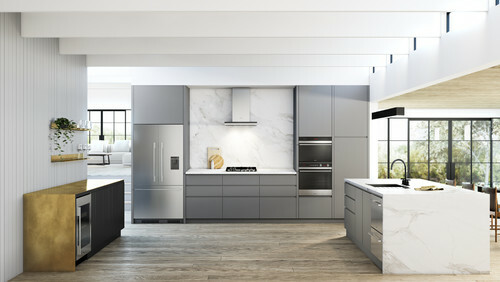 It's hard to say no to a customer who has spent $10,000 on a range or refrigerator. That said, let us look at the most reliable appliance brands for 2019. Every year for the last 4 years, I have said Whirlpool is a builder line and the numbers will be higher the following year. This is their now the fourth year being number 1. Their line especially laundry is solid but unspectacular with fewer premium controls and problems. Not surprised, most of these units are laundry. They excel in washers and dryers. Editor’s note: We do not sell the so-called “energy efficient” top loads on universal recall. Every year someone will call me out on this, and probably a dealer or two. I will say this again: These numbers are straight from our system. I don't make them up. They are remarkable because Samsung products are skewed to the more repaired refrigeration and cooking categories. Samsung and LGs real problem and what will upset you is their lack of service techs in the field. Statistically, you will have fewer issues with these brands, but if you do. There will be problems in finding competent repair. On the other hand, Bosch and Whirlpool at least in Boston are excellent. They could be the most reliable and well-engineered products you can buy. If you can figure out how it works. Our chefs will show you. We need to be more proactive in using them for you and that number will drop. Many of these calls are probably customer education. 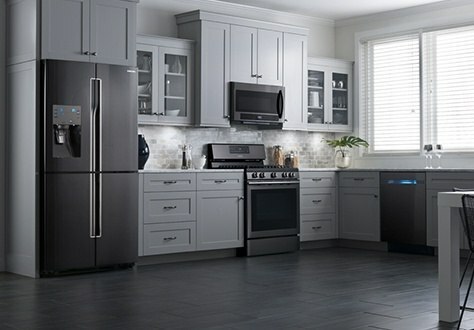 The best company to buy any appliance due to their incredible support (at least in Boston). They sell mostly dishwashers, so this is no surprise. Their laundry is incredibly reliable as well as parts and support. 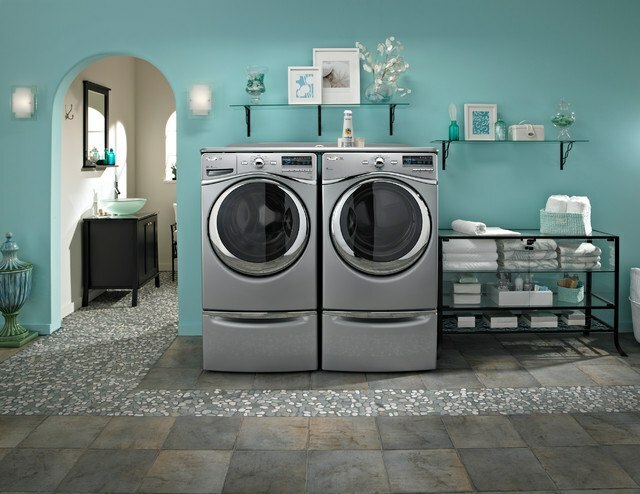 Our shift to Maytag/Whirlpool laundry resulted in 15% fewer service calls than last year. That is a ton. Their dishwasher and laundry require almost no service. Their wall ovens are the lowest at just over 2%. However, they also sell pro ranges and refrigerators, so their percentage has increased. This company only sells technical products like pro ranges and wall ovens. There are no freebies like dishwashers and laundry. Yet they are in the top 10 again. This is surprising. Guess they did fix their double drawer dishwasher. You should consider this brand because they are now owned by Haier. They are reengineering GE and have turned around this brand. The most reliable brands will be in the most reliable categories like hoods, grills, and microwaves. Laundry and dishwashers are generally reliable, but some are way better than others. If you are looking to buy warranties (Hint: Don't), those categories are probably not worth the purchase of a warranty, unless it's a front load washer due to repair expense. No surprise here. A hood moves air. That does not seem that difficult. Broan, Best, Yale Brand, Vent-A-Hood, Faber, and XO Hoods were all under 4%. Sharp was fewer than 5%. Most companies had few problems with their microwaves too. Once again, it is older, refined technology. Weber, Traeger, and UUNI were less than 2%. The only exception was Lynx at just over 17%. Two years ago, we started posting the most reliable products like French door refrigerators, top load washers, front load washers, wall ovens, gas ranges, electric ranges, and pro ranges as well. The brands at the top of this list sell fewer refrigerators and pro ranges and more reliable appliances like dishwashers as well as laundry. Reliability is about numbers. Many companies like Speed Queen tout build quality, but the numbers do not back the story. This article will help you somewhat. For head to head comparisons, look at the individual appliances. We are updating for them 2019. Every major appliance will be covered. Almost every brand required more service, which is alarming. So that number would be way higher if we didn't proactively manage brands based on reliability. 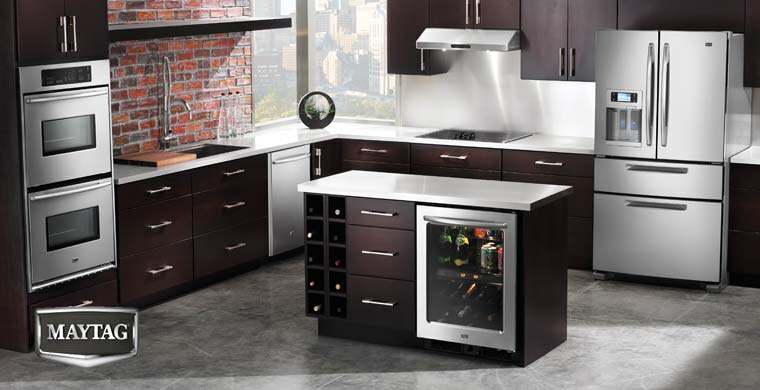 The numbers continue to indicate service issues in your future with a new kitchen. Warranty service calls (repairs within the first year) dropped from 18% in 2014 to 12.55% in 2015 to a low of 11.66% in 2016 because we eliminated some less reliable brands. In 2017, they were up slightly to 12.61%. In 2018, they are now at their highest rate since we 2014 at 13.7%. 13.7% is still not bad. You have to remember these are just the clients who call us. There has to be a percentage who do not know or forget that we offer warranty service free. You will see higher rates from online stores because the long-distance shipping and multiple warehouses will definitely add a certain percentage. Installation or lack of qualified installers will add more service problems as well, so be careful. Some issues are also caused by poor handling (Note to the many appliance dealers reading this: incentivize your supply chain). Now you know the most reliable brands. 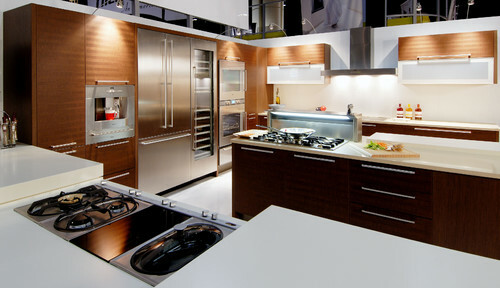 However, if you buy a whole kitchen, there is a good chance you will still need service. Bosch, Thermador, and Whirlpool's brands (Jenn-Air, KitchenAid, and Maytag) have the best tech support and part availability. Samsung, and especially LG, have bad reviews all over the internet because they do not have the infrastructure to support their growth. The product works. Their logistics need to be beefed up. Most of these brands, unlike automobile manufacturers, offer very little service. Finding a retailer who can fix appliances in your local area is so important because the products and technology are evolving. 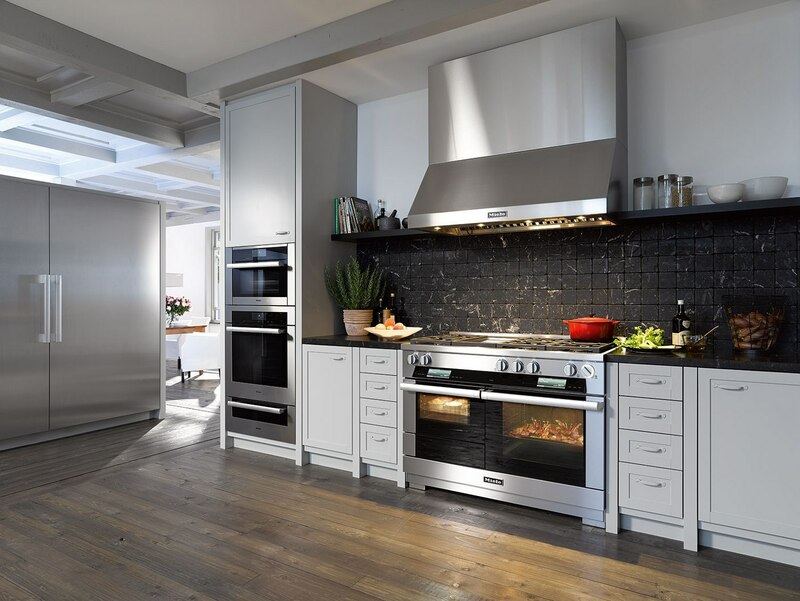 What is the best brand for kitchen appliances? Depends on what you want. For commodity, Whirlpool, Samsung, Bosch, and LG based on their reliability percentages. For premium Wolf and Miele. What appliances are made in the US? Whirlpool brands, Sub-Zero mostly. 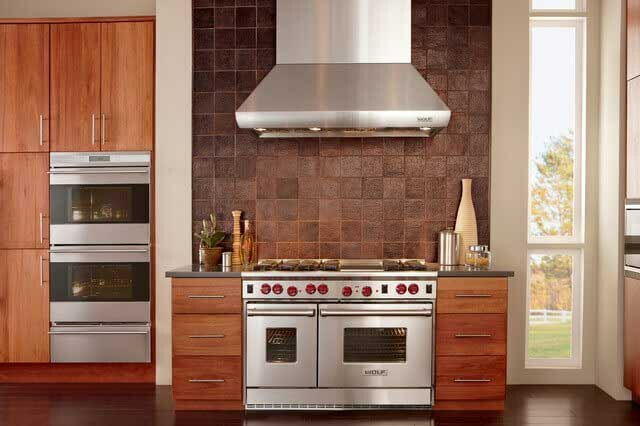 You can read about the best American-made appliances by clicking this link. KitchenAid, Jenn-Air, Whirlpool, Estate, Amana, and some Kenmore appliances. 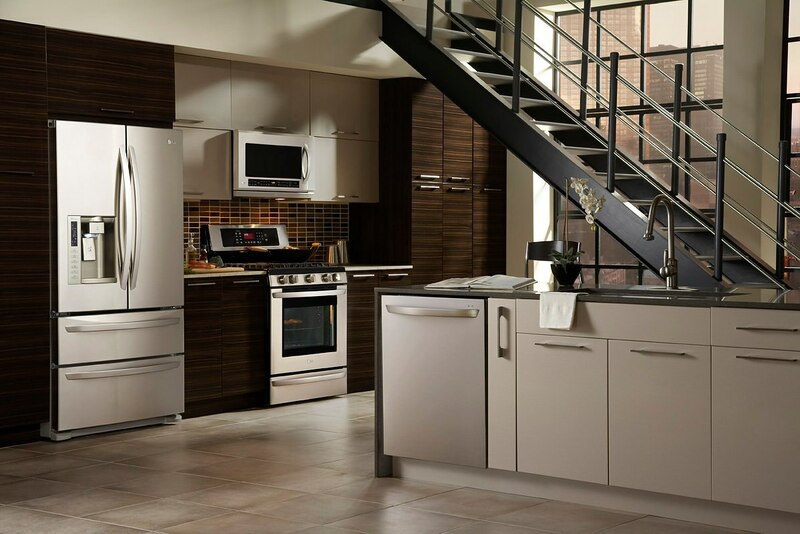 Have questions on appliances? 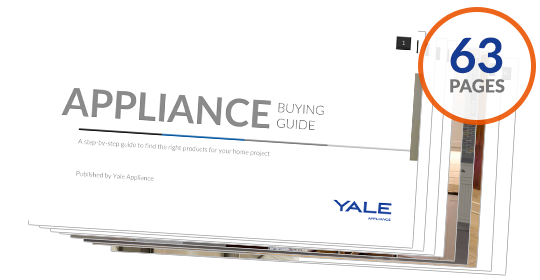 Read the Yale Appliance Buying Guide with the 10 most frequently asked questions, the best time to buy appliances as well as detailed profiles of all the brands. Well over 400,000 people have read a Yale Guide.